Tom Clements was the starting quarterback at the University of Notre Dame, and was fourth in the balloting for the Heisman Trophy (awarded to the player who is deemed the most outstanding in the NCAA). 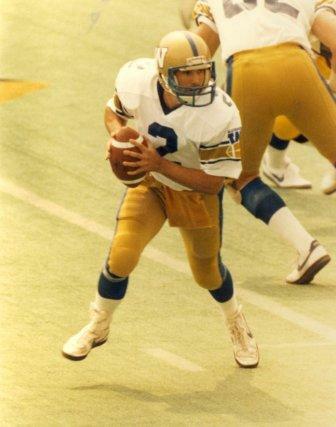 During Clements’ Canadian football career, he had a career total 2,807 pass completions for 39,041 yards and a tremendous 61 per cent completion average. Clements was the league leader in pass attempts/completions and yardage in 1987.